Robert started in musicals after his father Robert Simpson, who performed in many of the big Hollywood musicals from 1950 until the 1980s, suggested Robert should audition for dancing roles which guaranteed more work and more income. To complete a dance routine, there were usually three weeks of rehearsal plus several additional days to film the actual performance. These dancing gigs brought in the princely sum of $125 per week. 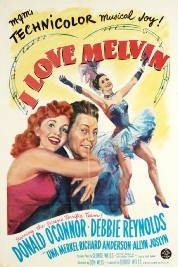 Robert’s first musical premiered in March of 1953, I Love Melvin starred Debbie Reynolds and Donald O’Connor. One routine features Robert as a cheerleader; in another a football player who, along with several others, carries Debbie Reynolds, costumed as a football, off the field in victory. 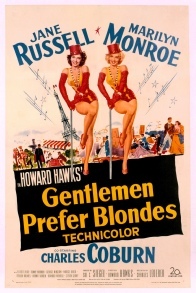 In Gentlemen Prefer Blondes, starring Marilyn Monroe as Lorelei Lee, Robert can be seen in “Diamonds Are a Girl’s Best Friend”. He, along with all the other male dancers, is wearing a tuxedo with streaks of silver added to his hair. During the “Anyone Here for Love” Olympics exercise and swimming pool routine, featuring Jane Russell as show-girl Dorothy Shaw, both Robert and his dad can be identified. Robert’s dad is one of the men carrying Miss Russell on his shoulders at the end of the number. Want to see Robert dance. 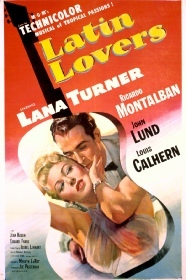 Latin Lovers with Ricardo Montalban and Lana Turner, credits Robert with a “bit part” instead of a dancer, but he is a featured dancer in at least one number before Miss Turner heads to Brazil to meet Mr. Montalban. 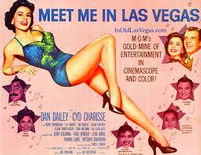 The last musical in which Robert danced was Meet Me in Las Vegas, released in March, 1956. For the “Frankie and Johnnie” number, Robert is dressed as a waiter, garters on his shirt sleeves, apron around his waist and a serving tray in hand. He freezes in place, along with the other background dancers as Cyd Charisse and John Brascia execute their dance routine. Moving in sync with the other members of the dance corps, Robert performs with the serving tray, eventually kneeling on top of a restaurant table, his body keeping time with the music. Written by Jan Peddicord - August 2016.